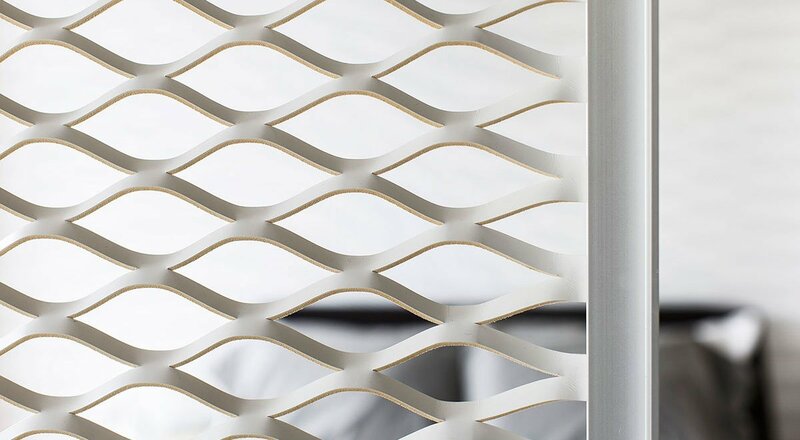 Spinneybeck is pleased to introduce Tratto, a new leather architectural screening system. First developed during the Industrial Revolution to drive machinery, Belting Leather’s thickness and rigidity has since found new design applications including furniture strapping, table inlays, and wall tiles. Emanuela Frattini Magnusson, inspired by this durable and unique leather, experimented with the leather, slicing then stretching it. She found that the thickness provided a tensile strength that could be incorporated into a decorative screen. Tratto, meaning traction or stretch in Italian, is stretched CNC cut Belting Leather held in traction within an aluminum frame with a clear satin anodized finish. The interesting play of positive and negative space affords space separation without blocking light or sight lines and is materially efficient since it stretches the leather to more than twice its length.